This is early rock & roll the way it always SHOULD have been heard - in living STEREO and with a dramatically improved frequency range that blows away your old 45s. 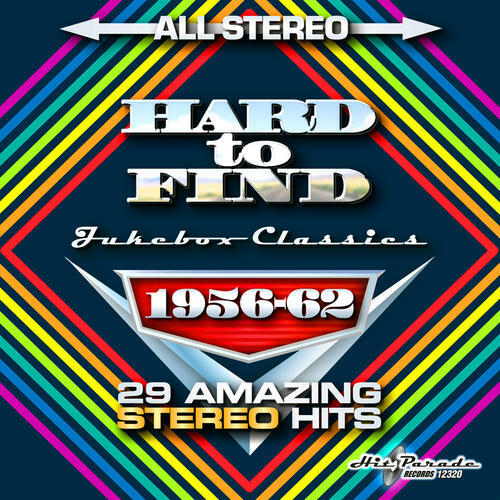 Enjoy 29 original hits, all in spectacular stereo sound, with 25 stereo debuts! • Great doo-wop from The Silhouettes, Sensations, Tune Weavers and The Classics. • Take a virtual Palisades Park rollercoaster ride in stereo with Freddy Cannon! • The lush beauty of the iconic Whatever Will Be, Will Be with violins and mandolins will surround you with stereo sound. • The first hits from Jackie Wilson, Brook Benton & Connie Francis, practically leaping out of your speakers! • For serious collectors: Greatly improved stereo on Chances Are and Patricia as well as a rare stereo duet by Ricky Nelson & Dean Martin from Rio Bravo. Produced by collectors FOR collectors! We've meticulously compared all these great records to their original vinyl singles to match the exact speed and edits heard on the radio, and then added true multidimensional stereo! You won't find these EXCLUSIVE stereo gems online!